In an interesting and opportunistic maneuver, U.S.-based music service Rdio has acquired teetering Indian streaming platform Dhingana. 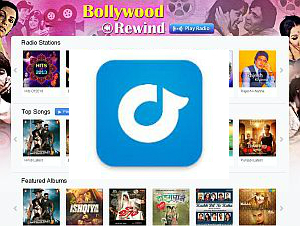 Dhingana will power Rdio’s India launch sometime this year. Dhingana started in 2007, and announced its closure in February. During its years of active operation, Dhingana was one of three leading online music services in India’s Bollywood music market. (See RAIN’s overview of the market here.) As we reported in February, the service closed to the public abruptly, about 18 months after receiving a $7-million round of funding. The Indian music business is estimated at $170-million, mostly comprised of Bollywood (or “filmi”) songs. Around the edges, Indipop, regional music, devotional songs, and infiltrations of Western pop are additional categories.